Another “picture is worth a thousand words” moment. 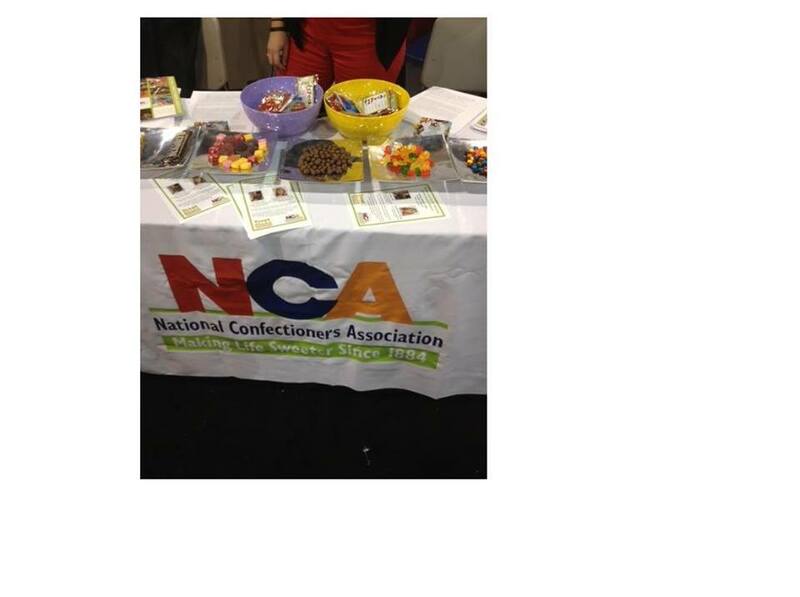 This was the National Confectioners Association’s booth at last year’s Academy of Nutrition and Dietetics Conference & Expo. Their take-home message? Candy can be part of a healthful diet (of course). Not only that — you could have one small serving a day or “save up” and have a larger amount once a week. This is why the Academy needs to consider establishing guidelines for conference exhibitors. The presence of “the candy lobby” at a national nutrition organization’s conference is nothing short of absurd. Of course, this is bound to happen to an organization that continues to stick to an “all foods fit” model (a message that is music to the ears of manufacturers of unhealthy foods). In fact, this “moderation”/”all foods fit” messaging popped up often at various booths. Tally it up and, next thing you know, drinking soda, eating Doritos, and snacking on gummi bears on a daily basis are supposed to exemplify “moderation” and “balanced living”.